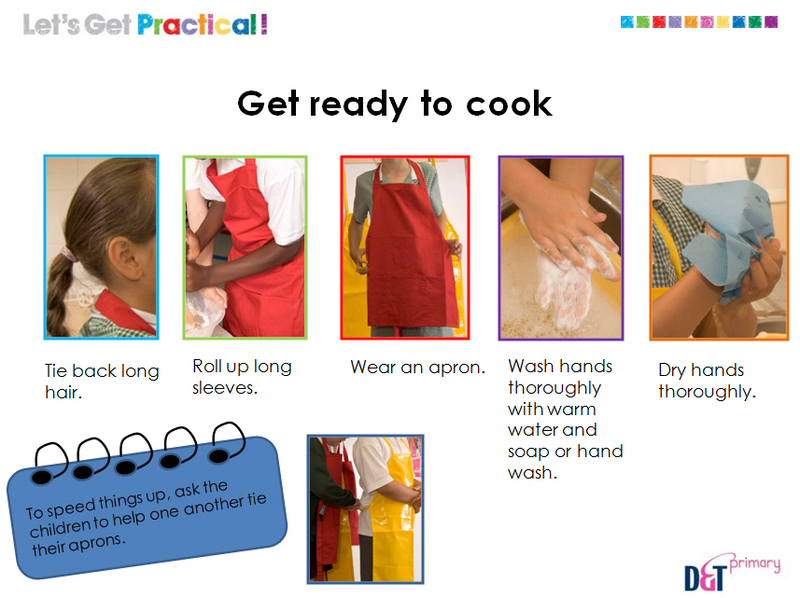 Let’s Get Practical! Are you Teaching Food in Primary D&T? 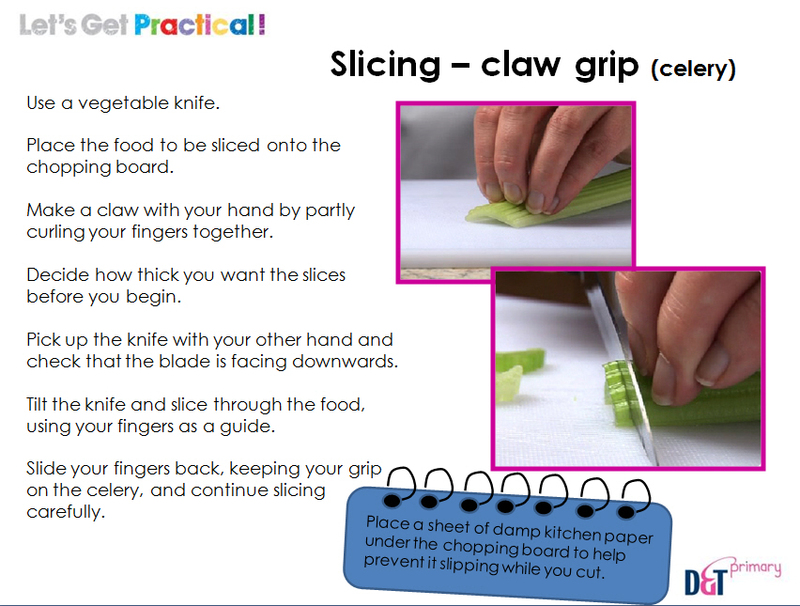 This resource contains two fully illustrated PowerPoint presentations (teacher and pupil versions) and a practical food progression chart covering teaching practical food skills. The presentations can be used as an audio visual resource or printed out to form work cards for the individual stages of food preparation. 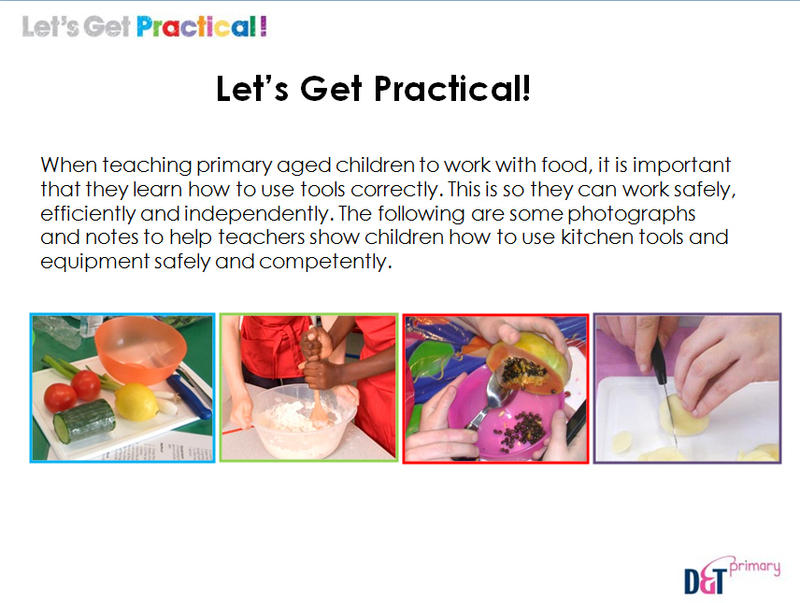 The teachers’ version explains the skills and provides teaching tips for those working with children aged 7-11 years and explains how to undertake teaching a selection of food skills. The associated food progression chart covers all ages and offers guidance regarding the food skills that most children should be able to undertake at a given age and the equipment they should be able to use. The skills build progressively and children should be able to undertake the skills at previous stages as well as those within which they are working. Focus should be on the progression of skills. Areas covered include food skills, such as peeling, juicing and spreading, recipe instructions and the use of equipment for crushing, peeling, cutting, measuring and mixing.